To help us get into the holiday spirit, every December, Jack and I pick out several Christmas/Holiday books to read through out the month. This year we are kicking off the holiday reading season with The Night Before Christmas: A Brick Story by Clement C. Moore. 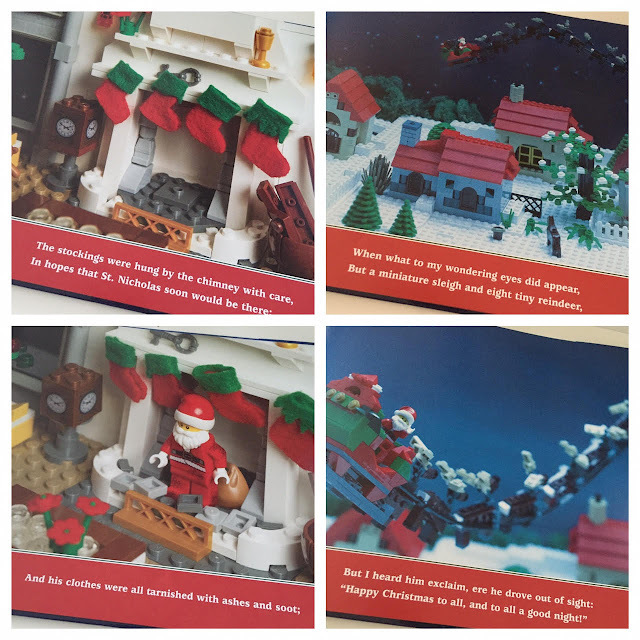 Illustrated with beautifully detailed LEGO brick scenes and characters by Amanda Brack, this fresh take on a holiday classic is perfect book my Lego obsessed son. The pages of this book come alive with it's vivid, intricate renditions of this beloved holiday story. Jack loved this book so much, we read it twice last night! Stay tuned, next up on our reading list, The Run Away Santa -A Christmas Story!